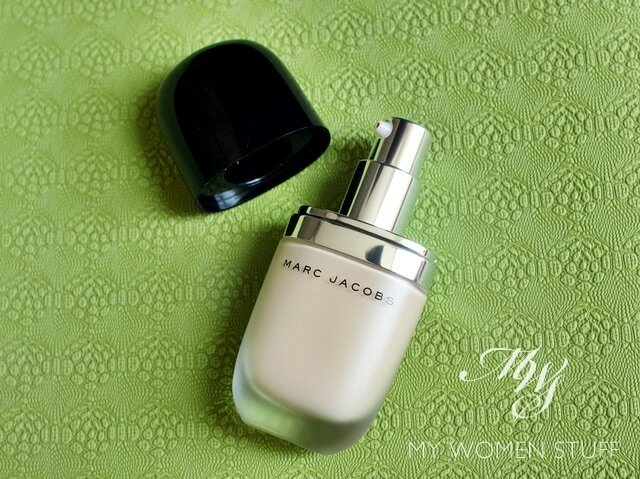 When I first told you that Marc Jacobs Beauty was now available here in Malaysia, I had quite a few requests asking my thoughts on the liquid foundation. Apparently, it comes highly rated and I remember the makeup trainer raving about it too during her demonstration. 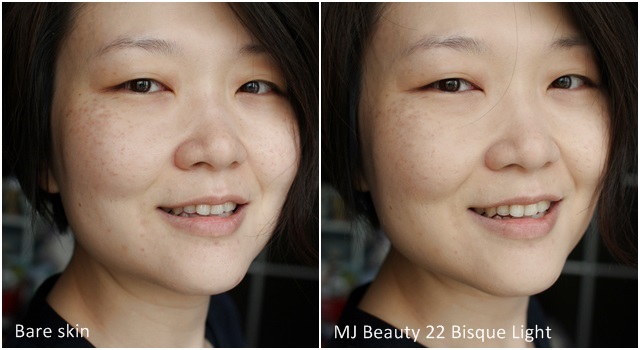 So it was the first MJ Beauty item I put to the test. The Marc Jacobs Beauty Genius Gel Super Charged Foundation, to give it its full name is a liquid foundation in a gel texture. What sets this foundation apart from others in its ilk is that it’s supposed to be lightweight in texture and comfortable on skin for all skin types, be it oily or dry, and wear well, providing hydration and light enough to layer from light to full coverage. That’s quite a lot to ask from one product isn’t it? To be perfectly honest, I didn’t fall in love with it. I know lots of people do, but I’m not one of them and it’s not for want of trying either. It’s not to say that it’s bad. I didn’t think it was bad, it just didn’t sit well with me for one reason or the other which I’ll try to explain. First, let me just say the packaging is quite something. I love the softly rounded shape of the frosted glass bottle and the heft associated with it. The frosted glass does make it a little hard to gauge the colour of the product, but it adds a touch of class. The pump is sturdy and well made and in terms of presentation and construction, this product is a winner! The frosted glass also gives you an idea of the dry-down of this foundation as it sets to a semi-matte texture on skin. Now, I’ve used a gel textured foundation before from a now defunct brand called I Nuovi and I expected the texture to be similar i.e. a light bouncy gel. The texture of the Genius Gel foundation however is pretty much like any other liquid foundation I’ve ever used. It is slightly thick but spreads quite easily. I was told by the makeup trainer that this is a lightweight product that you can wear thinly for a light coverage or build it up to full coverage. I tried. Honestly, I did! But I’d peg this at light to medium coverage at best. To get full coverage you’d need to pile it on and it won’t be flattering. If you have good skin that just needs some evening out of skintone then you may like this because it does even out colour quite nicely and a light layer is quite sufficient. However, if you have skin that needs more coverage then you may find this to be too much of a hassle, in which case you would be better off going for a product with heavier coverage to suit your needs. The shade I have is 22 Bisque Light which I can wear, at a pinch. I would be more suited to 14 Ivory Medium which has slightly more pink tones and I do feel that I might be a bit happier about this foundation had I received the correct shade. As it stands, I can wear Bisque Light, but it does leave my skintone looking a touch warmer than I like and it deepens a smidge through the day, so I even it out with a generous dusting of Guerlain Meteorites pearls to add light. It then looks a lot better on me. So, my advise is not to buy this foundation without first going to the counter and testing. The shades are quite close with warm and cool tones mixed in so it’s best to test it before you pick your shade. By way of comparison, here is 22 Bisque Light alongside some other liquid foundations I wear regularly in shades that suit my skintone more closely. 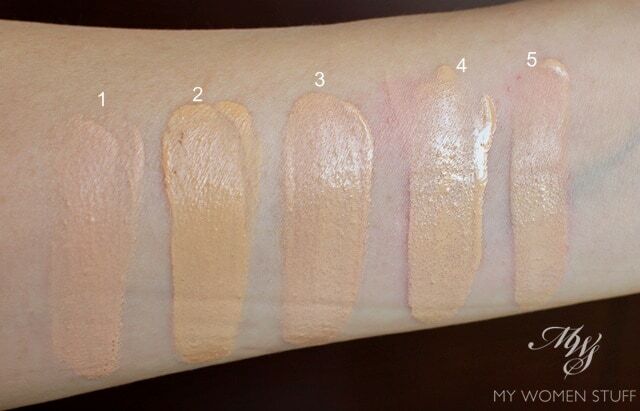 Shade-wise, the MJB foundation is significantly more yellow toned than the others so I only wear a thin layer or I might risk looking a bit off as it doesn’t quite flatter my skintone as much as the others do. Lunasol is also yellow toned but OC-01 is a more neutral-yellow so it looks better. Texture-wise, MJB foundation sets to a semi-matte finish. I do not have oily skin so I cannot attest to how it fares on oily skin, but for my dryish skin, it seems to be fine. It lasts well enough and doesn’t feel uncomfortable. I do find that at the end of a work day, it does slip a little but it happens with some foundations so I’m not terribly fussed. I don’t find it more hydrating that other foundations I use but then it isn’t drying either. I was asked how this compares to my perennial favourite, Bourjois Healthy Mix Serum or Healthy Mix foundation and I’d pick Bourjois any day because I think it is just better. As a simple demonstration of how it looks on me, here is the before-after. As you can probably tell, the Marc Jacobs Beauty foundation evens out the skintone and covers up some of the redness around the nose and some of the darkness under the eyes. The pigmentation on my cheeks aren’t hidden much but the overall effect looks more even. I usually top up with Guerlain Meteorites after that to add a bit of glow and to lighten the warm tones a little. I use quite a thin layer as I employ the modified 5 line method and buff the product in with a brush. Basically, I pump 1 pump on the back of my hand, spread it out with my fingers, draw 5 lines down my face with my fingers and then use a flat top brush to buff it all in. I get a much thinner and more even application with no streaking. I have read that people use the Beautyblender or equivalent for a similar result but I don’t like sponges so I’ll stick to my no-fail method. The Marc Jacobs Beauty Genius Gel Supercharged foundation is a lightweight gel foundation that is supposed to be long lasting and leave skin feeling hydrated throughout the day. I find the texture similar to most lightweight liquid foundations without the bounciness associated with gel. It does dry down to a semi-matte finish which sits well on my normal-dry skin. I didn’t have any flaky skin for it to catch on but it didn’t dry out my skin further. I find the coverage light to medium at best and I like it best worn as a light foundation because it does even out skintone quite nicely without looking too heavy. However, I find that colour match maybe a problem as I found 22 Bisque Light while a shade match, was a bit too warm for me so it wasn’t a tonal match. Overall, I thought this foundation to be alright. Not extraordinary and not a genius, but a wearable liquid foundation. The downside then, is the price because I think it far too pricey for a product that isn’t extraordinary. 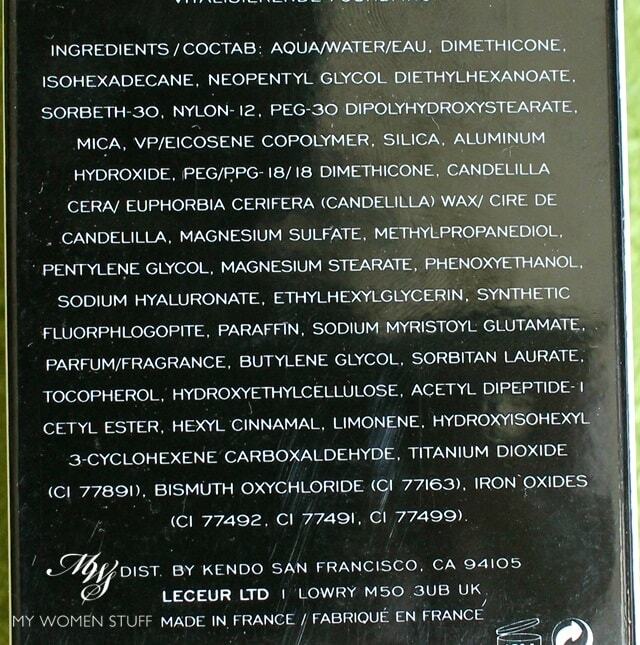 I thought I’d include the ingredient list for this foundation for those who want to know more about it. Despite the strong presence of dimethicone, I must note that this product did not feel particularly silicone-y and it did not try to suffocate my skin either. I also did not detect much of a scent but then I wasn’t paying a lot of attention. Have you tried the Genius Gel Foundation? It is quite popular! PREVIOUS POST: Your Say: Do you contour and highlight regularly or daily? This was on my wish list to try but your review has made me less enthused. Foundies are pricey and they last forever so it’s worth doing more research and testing before purchasing — and your detailed reviews certainly help!